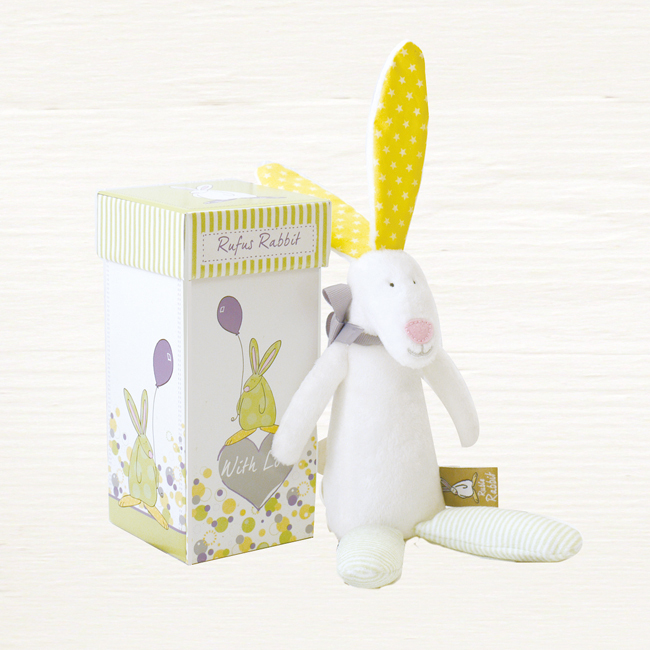 This Rufus Rabbit gorgeous baby comforter comes with it’s very own gift bag. 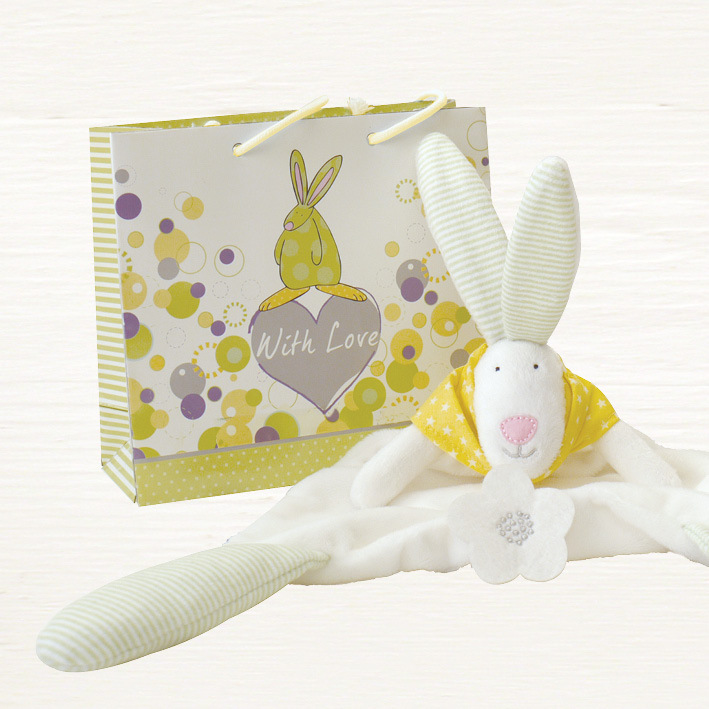 It has been designed and created with oodles of love by artist and designer and mummy to four little ones Anna Danielle. Her secret hope is that it will become a firm favourite, as there can be no greater honour! 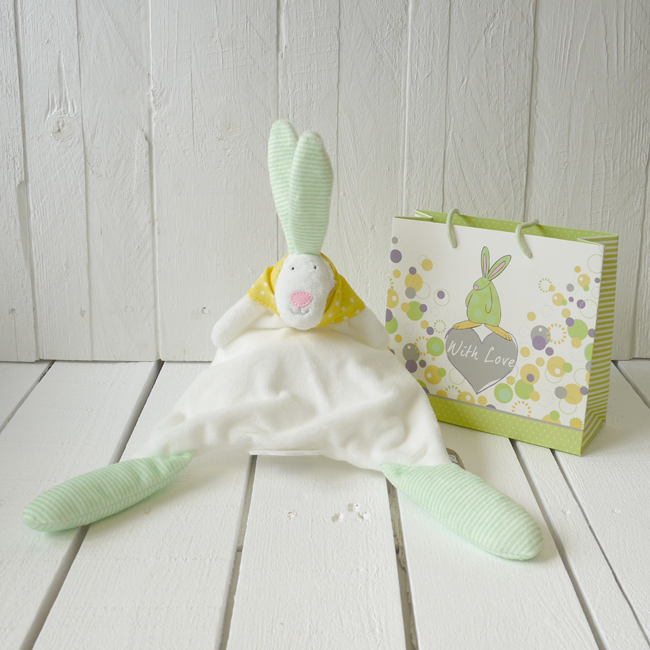 It is incredibly soft with crinkly ears, a felt flower tail and a cotton neckerchief. All our baby products have passed the relevant safety tests which makes this comforter perfect for drooling, chewing, loving and snuggling up with! 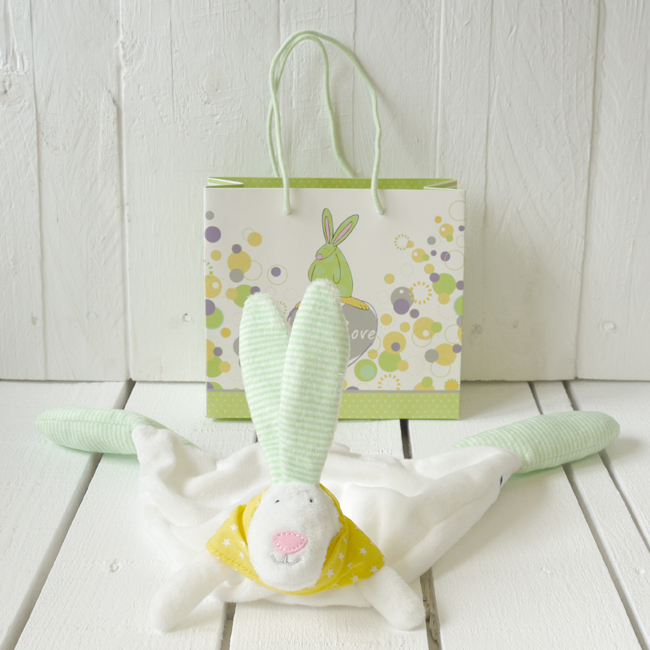 Comforter size : 24cm x 30cm Bottom to ear tip height.